As our family does every year, we took our annual trip to Boston’s South Shore this summer. It’s a bit North of the more well-known Cape Cod. It’s quieter and lazier. My husband grew up spending his summers there, so a zillion of his family members are still around. We rent the same rustic little house every year, we love our beach house neighbors, and the food is irresistible. 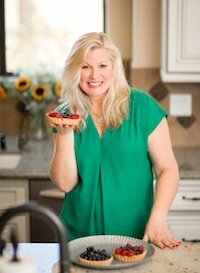 I tend to cook and bake a lot, and we sample the local food too. 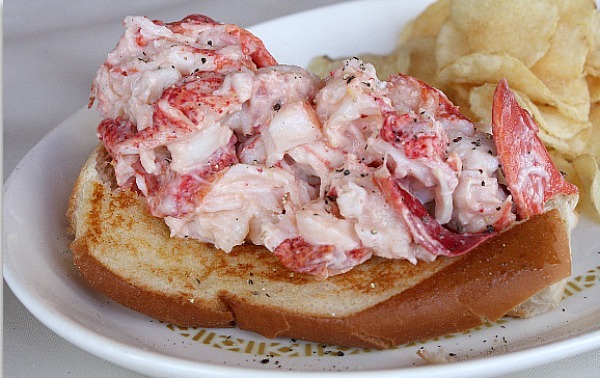 Here are some of my favorite eats from this summer’s New England Vacation. Blueberries are plentiful and fresh in Massachusetts, so I eat loads of them! 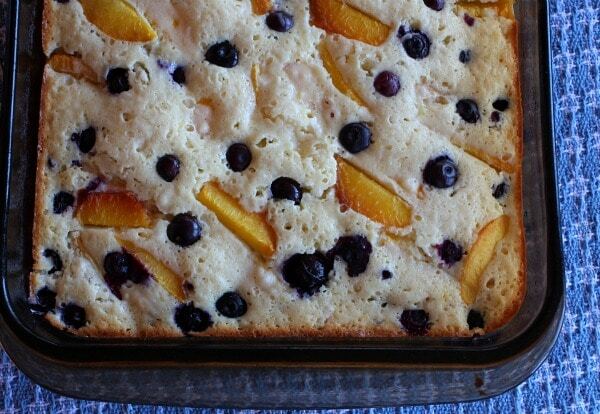 This is a great, simple coffee cake that is stuffed with peaches and blueberries. We ate most of it before we even thought to add the glaze. 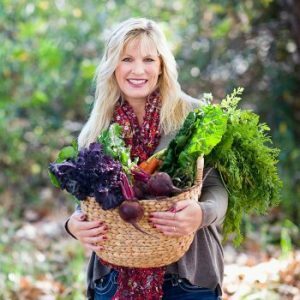 Pick up the best tomatoes you can find- heirloom, beefsteak, vine-ripened or home-grown… and make this recipe. 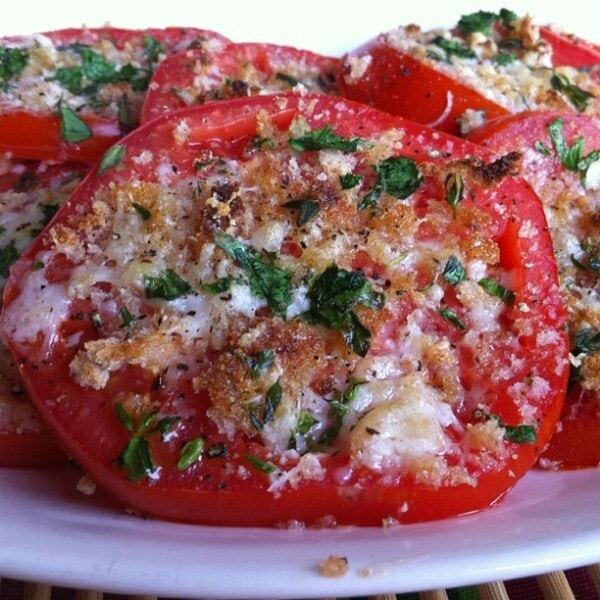 Simplicity at it’s best, these tomatoes are adorned with just a little bit of cheese and fresh herbs, which allows the flavor of the tomatoes to really shine through. I loved this and ate it for dinner with a hunk of bread. This one was based on a recipe I had seen in Fine Cooking magazine. Raw bacon is mixed into the hamburger meat to make the bacon burgers. The onions are cooked down in bacon fat until they are caramelized, and then they’re mixed with balsamic vinegar and more bacon. This burger is heaven. No additional condiments are needed. 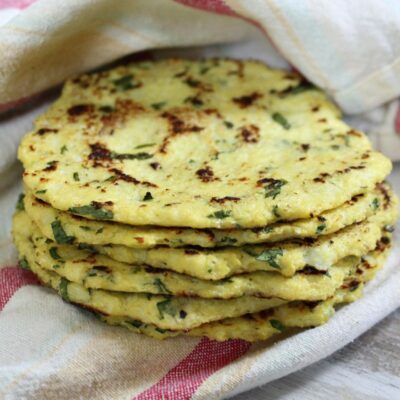 I shared this recipe last summer, but we made them again this summer. I can’t stop eating lobster rolls when I’m in Massachusetts. And then there’s more… these are all of the other eats that we experienced outside the house! 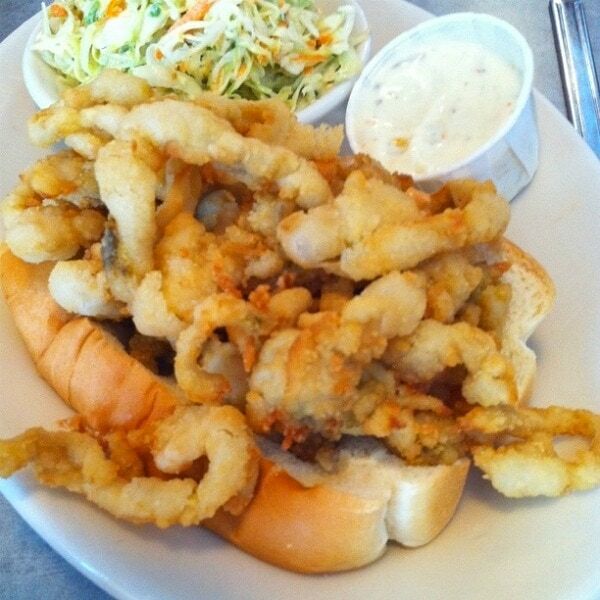 Fried Clam Rolls are my husband’s favorite. He likes the full belly kind. 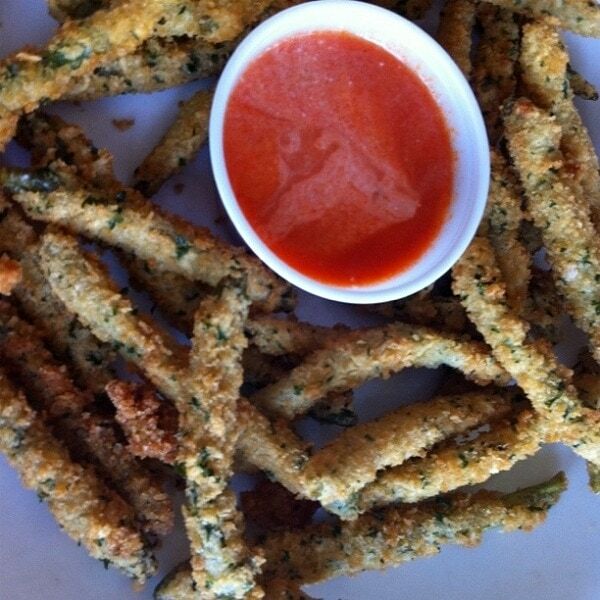 We tried fried green beans with marinara sauce. They were pretty good. I would have liked a different sauce though. 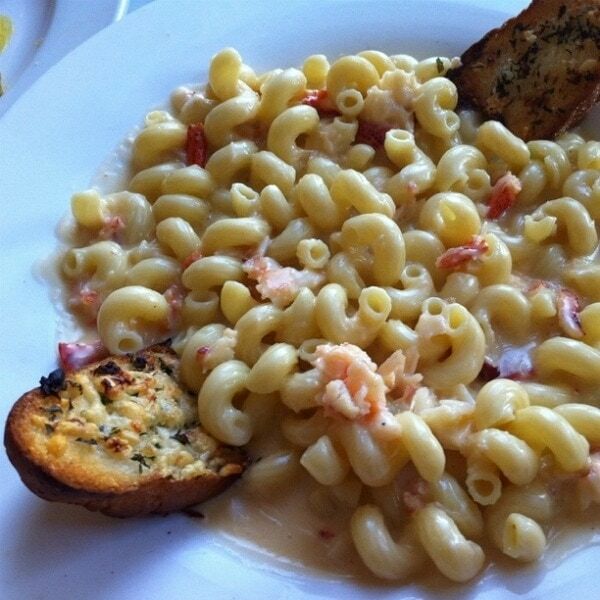 This is Lobster Macaroni and Cheese. 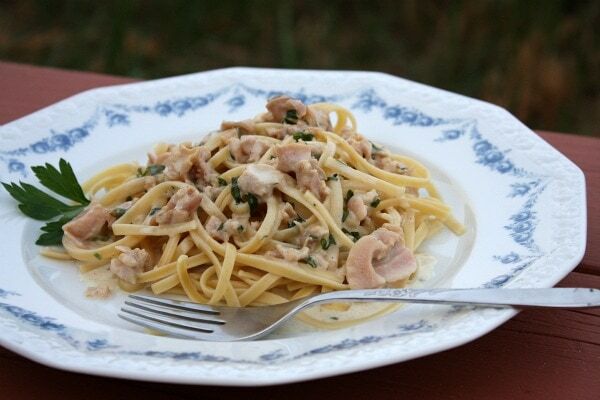 It’s a completely decadent and diet-busting dish. SO good, but definitely a once in a while treat. 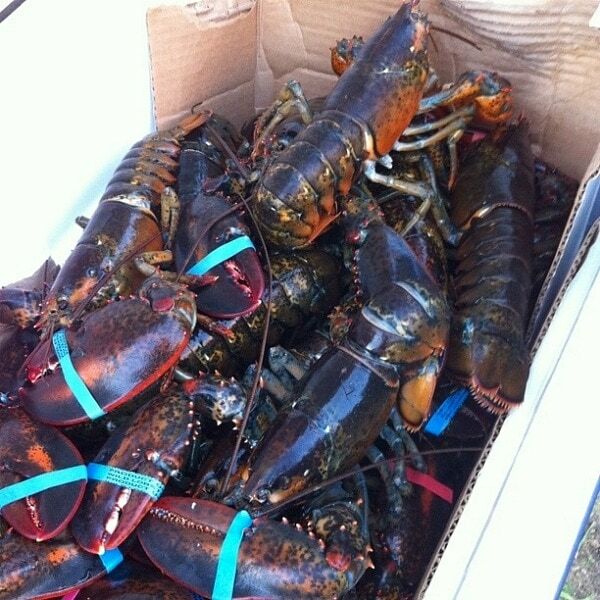 35 lobster met their fate at our family’s lobster boil. 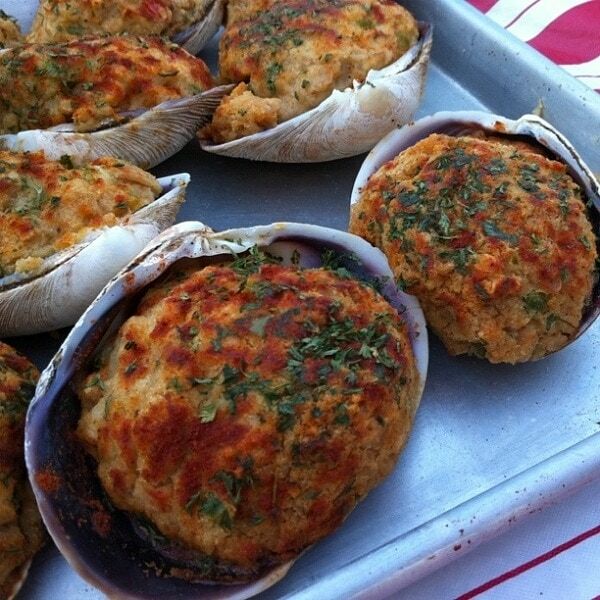 These are Stuffed Quahogs. Anyone know what a quahog is? It’s a variety of clam. You don’t see these on the West Coast! 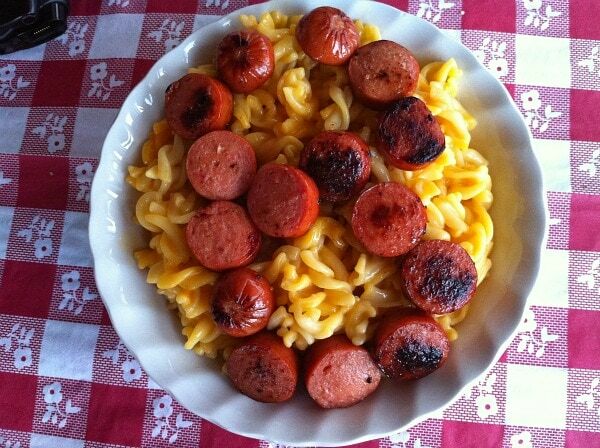 I’m not always Gourmet… I make Mac n’ Cheese on occasion (the boxed kind), and hot dogs too. This one was made especially for my son, with a “B” spelled out there right on top. He loved that. 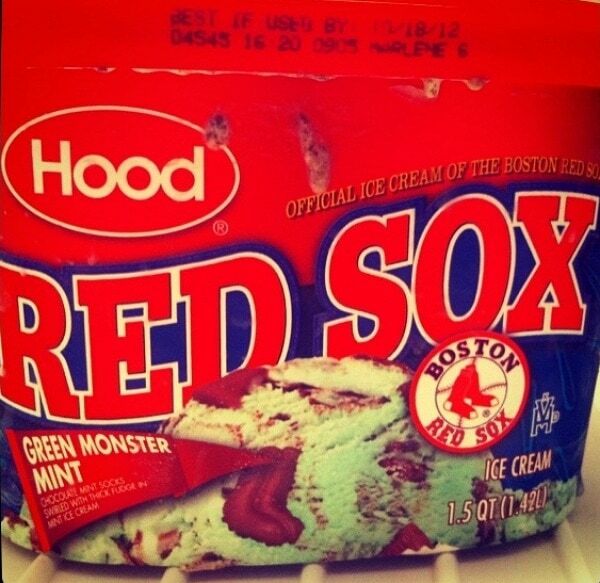 Only in New England, you will find ice cream devoted to Red Sox fans. It’s our favorite! On one sweltering hot day, I escaped to the mall and found Orange Julius. I can’t even remember the last time I had one of these. SO yummy. 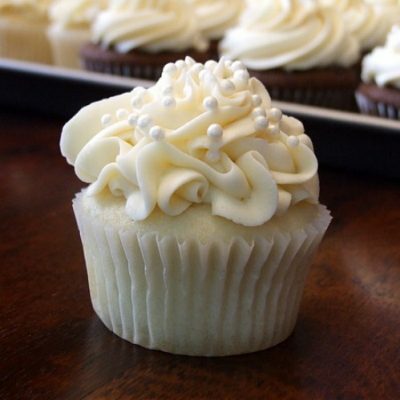 I need to make these and add the recipe to the website. The local General Store has a penny candy section that is frequented by kids. Okay, the adults are lured in too. I discovered GIANT smarties there. 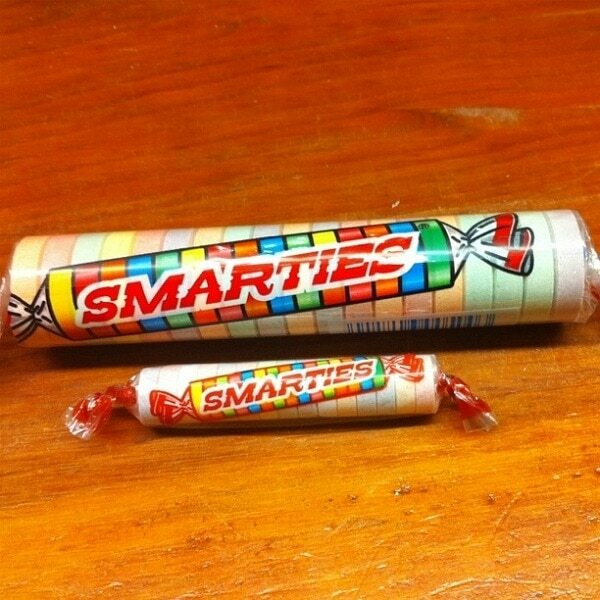 Smarties are among my favorite of the penny candy variety. When I was a teenager, I worked in a small-town ice cream shop. That’s where I fell in love with soft-serve ice cream. I find it hard to resist… especially when rainbow jimmies are involved. 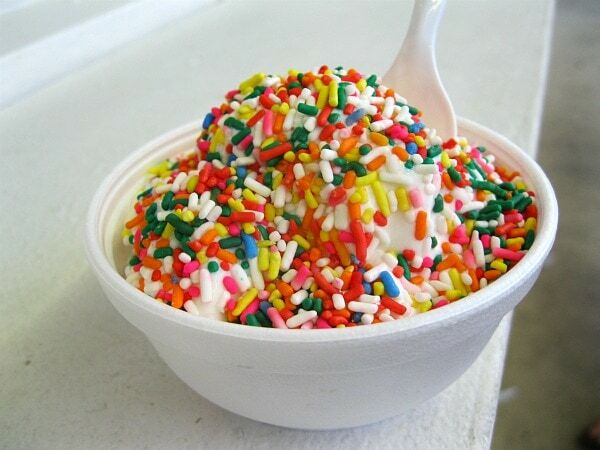 By the way, we call them “sprinkles” in California. It was a great vacation, and I adore New England… but it’s time for a diet. i grew up in boston so i love this post! 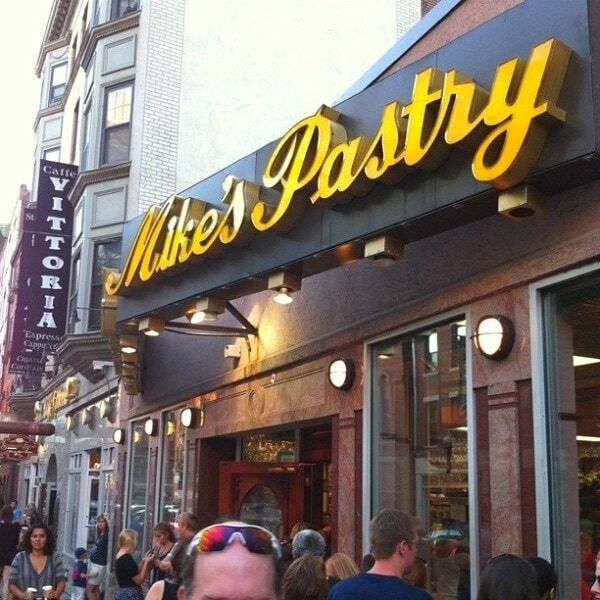 i’m very familiar with mike’s pastry, giacomos + the north end — makes me hungry to go back there! and yes, i still call ’em ‘jimmies’ – my fellow nashvillians always look at me like i’m crazy when i say that! Mike’s! Oh my. Good thing I don’t get to Boston often, last time it was 3 trips PLUS the boxes for home in CA! 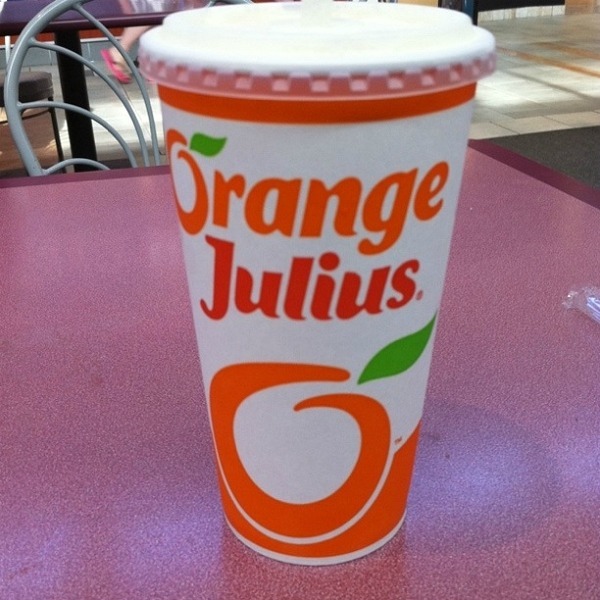 Sad to say when I went to Broadway Plaza (Walnut Creek) at Christmas, Orange Julius had moved. I think there’s one in Roseville..
What is vacation for… if not to eat? Fun stuff! Loved this post! I live in NH and we love the North Shore! You can’t do a New England vacation without Lobster Rolls, and Lobster Mac n Cheese! My mouth is watering for that lobster. And the Quahogs look like my kind of food for sure! This sounds like an idyllic way to spend a couple of weeks each summer. It looks as though you ate very well! Glad you had a culinary adventure while enjoying the lovely coastline. And, who doesn’t covet a chocolate chip canoli, the best are definitely from the North End! However, I live in Rhode Island where the (stuffed) quahog is one of our state’s trademark delicacies. Smartees, a candy I grew up with and sweet also to see a reminder of our beloved Sox. Ah, summer vacations at the beach, our family always returned to the same cottage on the Cape every August, memories that will always be with us. this makes me so thankful to have grown up in New England, but now i’m wondering what i’m missing out on your West coast! love the lobster rolls! I love the smarties photo – here in Canada….the candies you showed are called rockets and smarties are candy coated chocolates…..all still yummy!! Love your website!! I’ll be making the cinnamon roll pancakes for my family (OK…I’m making them for me….) this weekend!